The first confusion is the cover and the title. 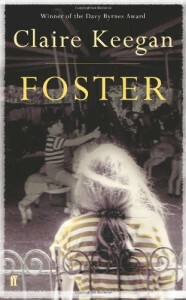 Almost monochromatic, some children and ‘Foster’ written across in big letter. I was ready to dismiss it as another product of misery lit but before I turned away I noticed something about the ‘New Yorker’. 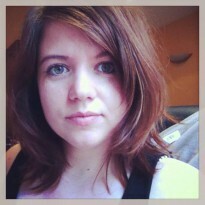 As it turns out, Claire Keegan is an accomplished writer and ‘Foster’ appeared as a short story in the New Yorker before it appeared in a slightly expanded version as a stand-alone book. For a publisher to do something as reckless as to publish one short story in a separate book must mean it’s a true gem. The second confusion are the Irishisms - ‘What way are you?’ – how that confused me at first before I figured out it’s just Irish for ‘how are you?’. From then on I could just sit back, relax and enjoy this little thing. I remember I was reading it late at night, home alone, sprawled on the sofa, wondering if the rain will lull me to sleep before I finish reading. Keegan’s writing is very delicate and unassuming. This book would step back and let me sleep if I needed to. It would then gently penetrate the periphery of my dreams. In one of the interviews Keegan said: "It's essentially about trusting in the reader's intelligence rather than labouring a point. To work on the level of suggestion is what I aim for in all my writing."